If you have a number of children, tow a boat or horse trailer and like the feel of a substantial V8-powered vehicle, the 2009 Chevrolet Tahoe could be just the ticket. Another plus: The Tahoe's powerful V8 engines offer Active Fuel Management technology and many are E85-ready. I'll never buy a Tahoe again. We've had to replace both rear view mirrors and front door handles. The interior upholstery, steering wheel and buttons are all frayed and falling apart. Immediately after purchasing this Tahoe in 2014, one of the DVD players quit working (which was the only reason I agreed to get a Tahoe- so frustrating!). We drove a Toyota fj cruiser for several years that was so much more durable and better made. The only reason why we got rid of it is because we couldn't fit 2 car seats in the back. The only problems I have had is all normal wear and tear, sensors. . Things like that. a one time I was putting a lot of miles on it. . . Pretty sure there's over 100, 000 miles and it still runs great. I love that it has a Bose stereo system and all electric seats with seat warmers. It has a sunroof and a DVD player in the back. I don't use the 3rd, row seating very often but it is definitely nice to have. I also have a tow package on it so I can tow trailers, rave's etc. Love my Tahoe with all my heart! 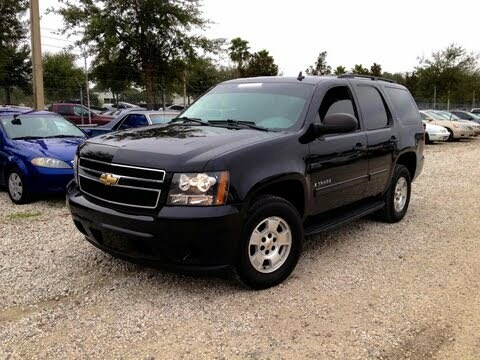 My Tahoe feels safe, comfortable and is super reliable. One flaw is all the electric components that can easily go out and have gone out. The mirrors come by the touch of a button, but one of my mirrors stopped working so I have to manually do it. The other feature I love is the button to make the back open. Well, that goes out as well and makes it so you use it manually and it is heavy. Other than that I love my Tahoe and would only trade it for a better one.